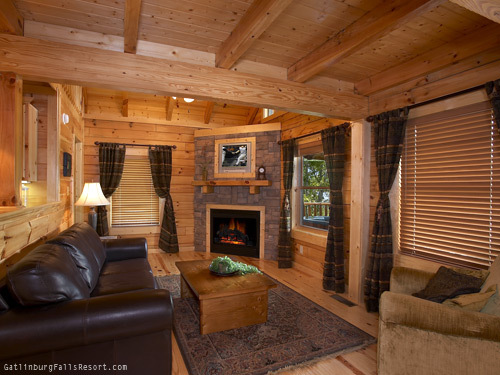 Some cabins are made for two, perfect for a couple, at their best as a romantic getaway. 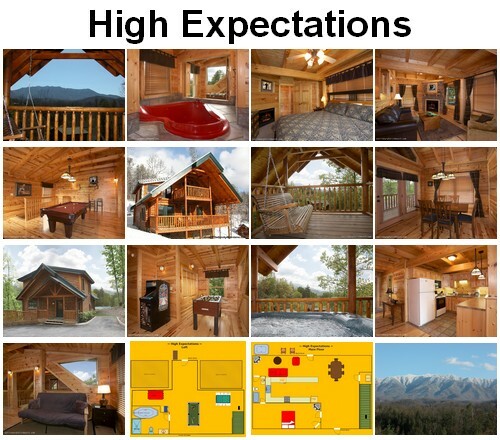 High Expectations is such a cabin, a 1-bedroom jewel nestled in the hills above Gatlinburg, Tennessee, in Hidden Valley Resort. How would you love it, you and your loved one? Let us count the ways. 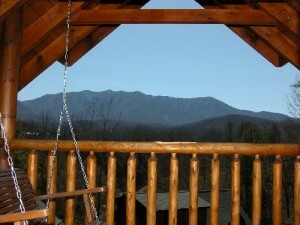 Love begins for many in the Smoky Mountains, a breathtakingly romantic setting. And High Expectations takes shameless advantage of this, providing a birds-eye panorama of Mount LeConte on the horizon, a spellbinding view made to gaze at endlessly. 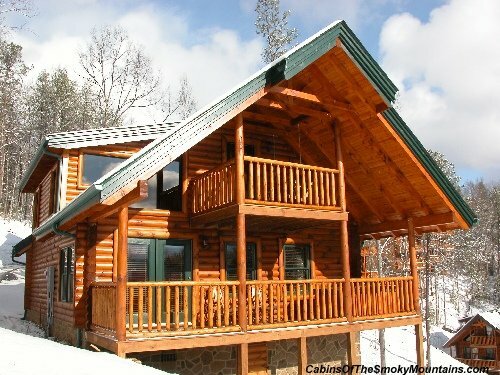 This cabin makes it easy to watch the mountain never move, from the outside decks, in the couple’s swing or the rocking chairs, or the hot tub. If you can look away from each other’s eyes, you’ll find the surroundings pleasing. 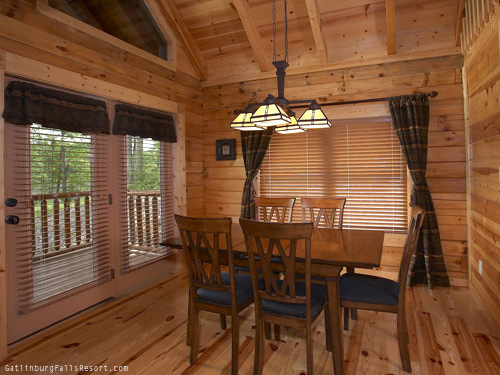 Inside, the view blazes through the windows, while the simple life of two people cast away in their own world continues in this luxury cabin. 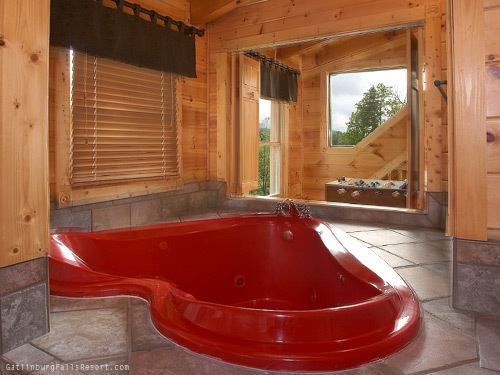 Try the heart-shaped jacuzzi tub, or one of the two vertical jetted shower spa, in either of the two full bathrooms – one on each floor of course. 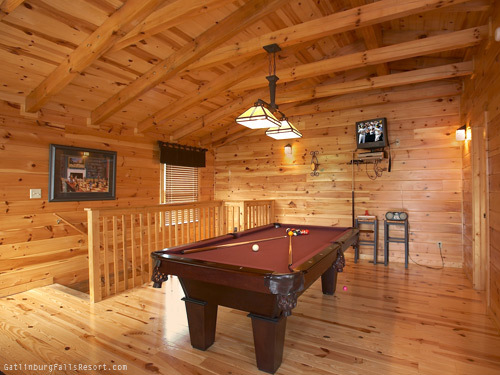 Upstairs is the game room loft area, to engage in a game of pool or foosball – ruthlessly competitive no doubt. Step into the jacuzzi, or step out to the swing under the vaulted eaves, a quiet place for just the two of you, and the mountains. Downstairs on the main floor is the master bedroom, and the hot tub on the main deck. Should you ever get hungry the full kitchen and dining area lives here too, along with the cozy living space with its electric fireplace. TVs and music equipment are conveniently installed, and WiFi is supplied just in case you care about the outside world. 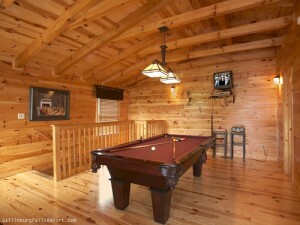 There’s a charcoal grill outdoors for the steaks, and full laundry amenities indoors. You could live here. Outside, in the resort is a swimming pool in summer, and our year-round wedding facility with huge wooden decks, for all your guests to watch the ceremony and enjoy the reception. 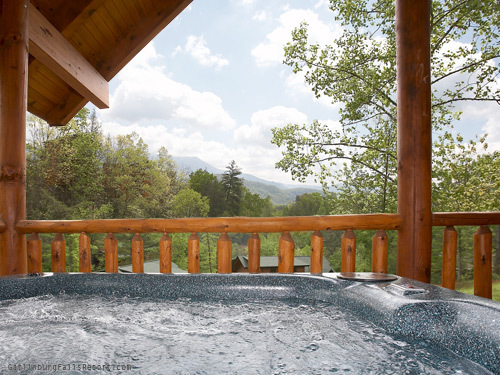 Romance in the Smoky Mountains seems to come with the territory, and couples come to fall in love, to propose marriage, to celebrate their anniversaries, and to renew their vows. It’s all impossibly romantic, and romance is very possible, especially in a cabin like High Expectations. Click here to check availability and book High Expectations for your next trip!